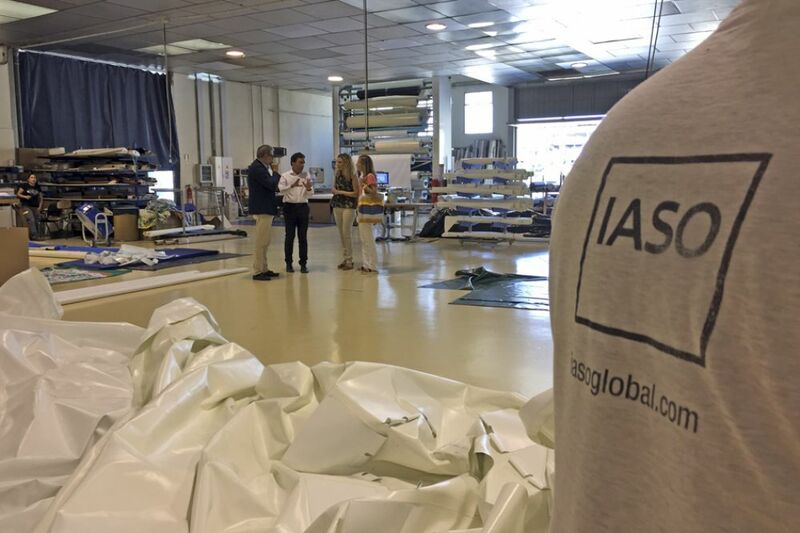 Interim mayor, Félix Larrosa, visited IASO's facilities to get a first-hand look at the company's activity. Larrosa was accompanied by the manager of the firm, Víctor A. Hereu, who explained the work processes that they apply in their three main business areas: Textile Architecture, Outdoor Solutions and Swimming Pools. Larrosa's visit has facilitated synergies with IASO in the technical field regarding urban issues in the city, such as ephemeral architecture, landscape and urban beautification or the generation of artificial shade. For a while the Lleida City Council has been working on the selection of spaces, so that they can install sun protection elements. The intention is to install awnings, stretched structures, marquees or other products to create areas of shade that protect citizens from the sun. Likewise, the installation of these elements will also be regulated in the alterations of the urban landscape ordinance that the City Council is currently addressing.